In response to the tragic circumstances of refugees around the world, Battery Dance launched a five-year initiative in 2016 to promote social cohesion among unaccompanied minors and other teenage refugees in Germany. Described as “a crisis of epic proportions” and “one of the most urgent tests of our time”, recent conflicts have created over 21 million refugees, many of whom are women and children. With the vast majority of refugees in Europe located in Germany, Battery Dance will use the award-winning Dancing to Connect program to address refugee trauma and integration across multiple cities between 2016 and 2020. In each city, the Dancing to Connect program will break barriers and build trust between young German students and their newly arrived classmates from war-torn countries. While dancing together, creating together, performing together, spoken language will give way to the expression of the body and common humanity will be revealed. A survey of 130 German participants in 2017 found a 100% increase in very positive perceptions towards refugee participants after a one week Dancing to Connect program. Jonathan Hollander, President & Artistic Director of Battery Dance, receiving the Cross of Merit of the Federal Republic of Germany in 2018 in recognition of the refugee integration program and his “great commitment and leadership in bringing together young people across borders through cultural exchange”. 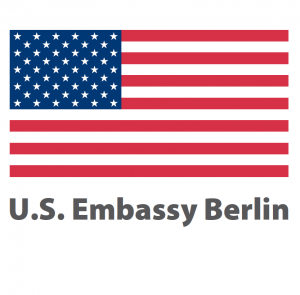 This program is supported by the Transatlantic Program of the Federal Republic of Germany with funds from the European Recovery Program (ERP) and the Federal Ministry for Economic Affairs and Energy (BMWi), the U.S. Mission to Germany, the Heinrich-Böll-Stiftung-Brandenburg, the Schöpflin Stiftung, and the Robert Bosch Stiftung. For more information on the program, sponsorship, and partnership opportunities please contact Jonathan Hollander and Emad Salem.